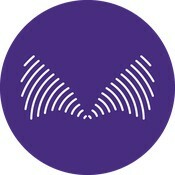 Government buildings icons. Government building icons set of police museum library theater isolated vector illustration. 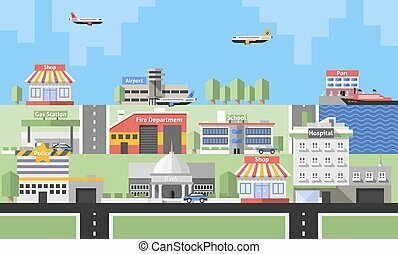 Government buildings icons set in flat design style, vector illustration. 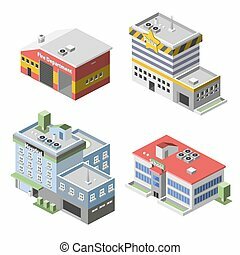 Color government buildings icons set in flat design style, vector illustration. Includes school, hospital, police, fire station, day care, university etc. 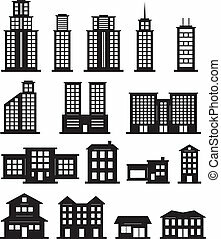 Black and white government buildings icons set in flat design style, vector illustration. Includes school, hospital, police, fire station, day care, university etc.